Elliott Wilson’s research interests include real-time 3D Graphics and Games (including Virtual Reality), Visualisation, Emerging Interfaces and Interactions, Mobile and Wearable Technology, 3D Printing and Digital Fabrication, Robotics and Electronics. He is the Lab Manager for SensiLab and is responsible for the day to day running of the research space. 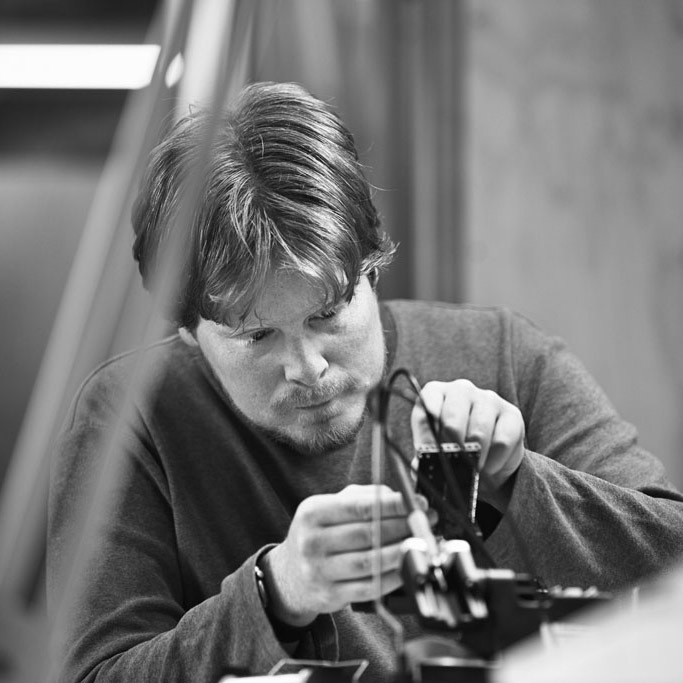 He also collaborates on a number of SensiLab projects and develops prototypes for research. Previously, Elliott was Game Developer and taught Games Design and Development and Mobile Application Development at Monash’s Faculty of IT.